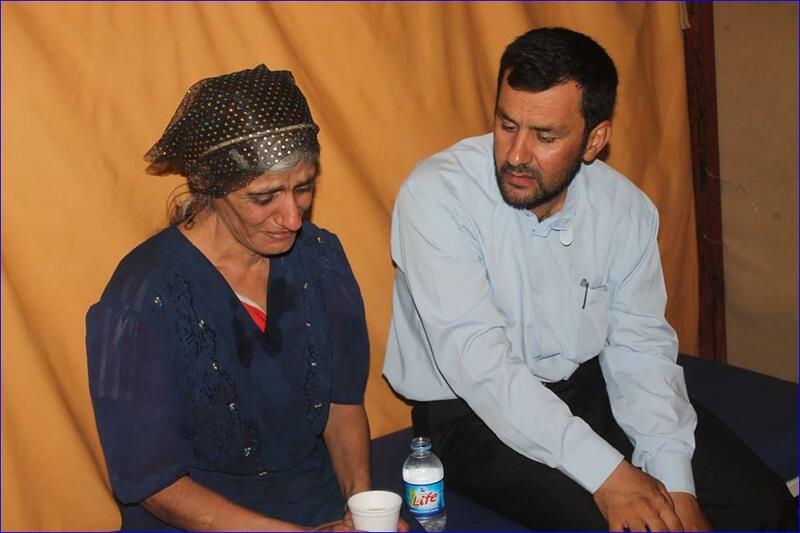 he mother of Christina, the 3 year-old Assyrian girl kidnapped by ISIS, shortly after arriving in Ankawa from Baghdede. (AINA) — The mother of Christina Khader Ebada, a 3 year-old Assyrian girl who was abducted from her family by ISIS as they were leaving Baghdede (AINA 2014-08-25), was interviewed by Ishtar TV, an Assyrian network based in Arbel. The interview was conducted after Christina’s family reached Ankawa, just north of Arbel, where 70,000 Assyrians refugees have come in flight from ISIS. According to a relative of the family, Christina’s mother is physically handicapped and her father is blind. Here is the text of the interview. 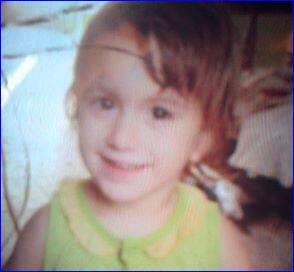 The video may be seen here (in Assyrian), with Christina’s mother speaking at 00:43 seconds. My son Yas came with his friend, I don’t name his name, this friend, a friend of my son, said go and bring my father and mother and get all of the these families that are left in Baghdede and go to Arbel, to get them out.A man came and knocked on our door and said come Baddu [her husband], Barkho [a friend] has come for us so that we can leave. We sat in the car, a coaster [bus], and they took us to the primary care center. They put us there, and after, after we sat for half an hour, and we said why did you bring us here? They said the they will take steps to examine us. They brought a doctor to treat whatever we may have. And then after one half hour, they told all the women to get up and move ahead of everyone. We carried our bags, which had clothes and ID cards. They said if you have gold get it out; they took the gold, not from me but from some other people, gold and money and the IDs of all of them, and threw away their clothes, and they said we will bring them to you later and said go to that big bus. We went and sat in the big bus, and then one man came aboard, I was carrying my child in my arms, I sat in the bus and he came and took her from me, snatched her from me, and left the bus. I followed him inside [the building], and my little girl was crying inside the center. An old man, one of those ISIS people, who was apparently their leader then carried her. He said [she is speaking in Arabic now] “is this your daughter?” I said yes. He said “she is crying for you.” I told him give her back to me, poor girl, what is she guilty of? She is breast feeding from me. For the sake of Allah, for the sake of Muhammad, what do you worship? Give me this little one, she is breast feeding from me. She will die if she does not see me. I am her mother. [now speaking in Assyrian] We got on the bus and left. I appeal in the name of humanity and the United Nations. This thing that is taking place here in Iraq, to kidnap this little girl who is innocent, and these crimes they are committing, stealing money, they did not leave us anything, what is this? We appeal to human rights groups to help us, to look at us. This is not a humane situation. We can’t live like this all our lives. We have not attacked them. What have we done to them? I want you to return my daughter to me. Since entering Iraq and capturing Mosul on June 10, ISIS has driven all Assyrians from that city. There are no Assyrians/Christians remaining in Mosul. ISIS has also destroyed or occupied all 45 Christian institutions in Mosul (AINA 2014-07-29). It has targeted all non-Sunni Muslim groups — Shabaks, Yazidis and Turkmen. This is so sick! These people are animals and must be stopped. This is not a religious act but a evil one and Allah is not a real God..he is Satan and only Satan would direct his followers to do these evil deeds. I pray God, the real God, takes vengeance on the people who did this.